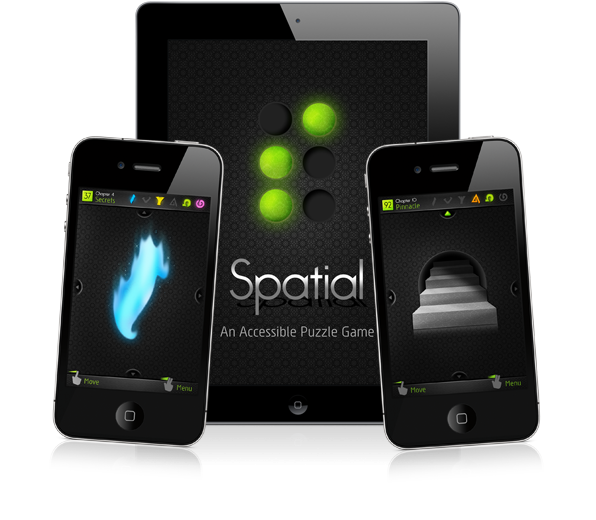 Spatial is an accessible puzzle game that requires all of your attention, and rewards you with a lush audio landscape within which you can explore, and solve a variety of spatial orientation and memory puzzles. Use the arrow keys to navigate a physical space and match audio/visual symbols to complete puzzles and progress through the chapters. Your knowledge of how the world of Spatial works will grow with each puzzle you complete, as will the level of challenge and the types of obstacles you will encounter in your journey. Designed as an accessible game, Spatial can be played by players that are sighted or blind, those that have hearing or whom are deaf, and offers customizable control schemes that should allow any gamer who can get up/down/left/right input to register on a real or virtual keyboard. Spatial can be played at your own pace. To enjoy it, you'll need only your memory, spatial reasoning skills, and a healthy dose of creative thinking. Let us know if you'd like to be a beta tester for Spatial!